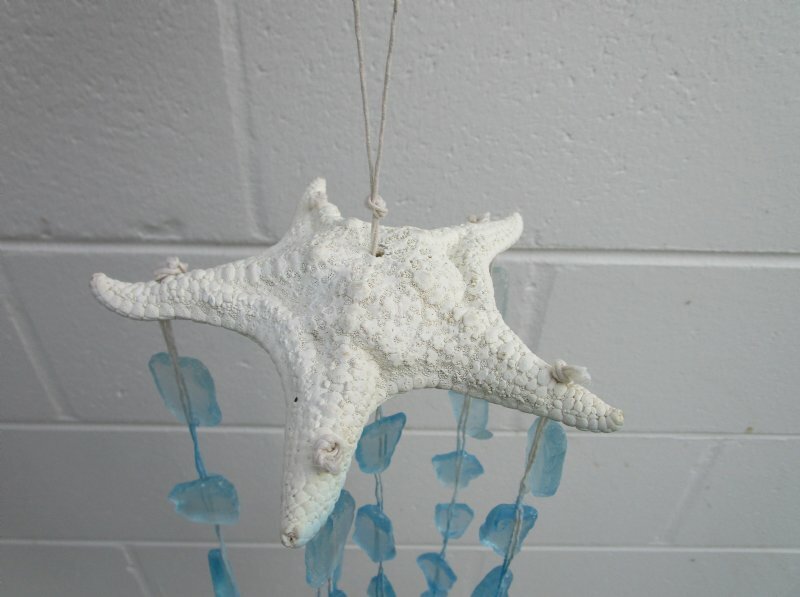 Our Products: Home Decor and Gifts > Seashell Wind Chimes Wholesale > Small Shell Wind Chimes Under 20"
Wholesale Real White Mud Starfish with Sea Glass Wind Chime. 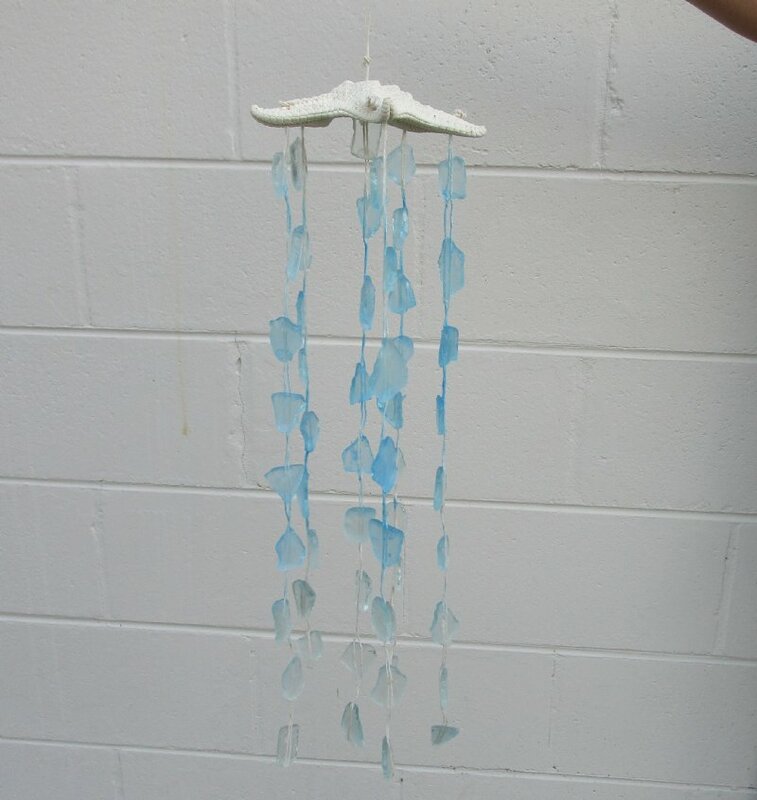 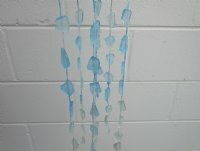 This wind chime has 6 hanging strands of blue and clear sea glass and hangs from a large 5" white mud starfish and is approximately 16 inches long. 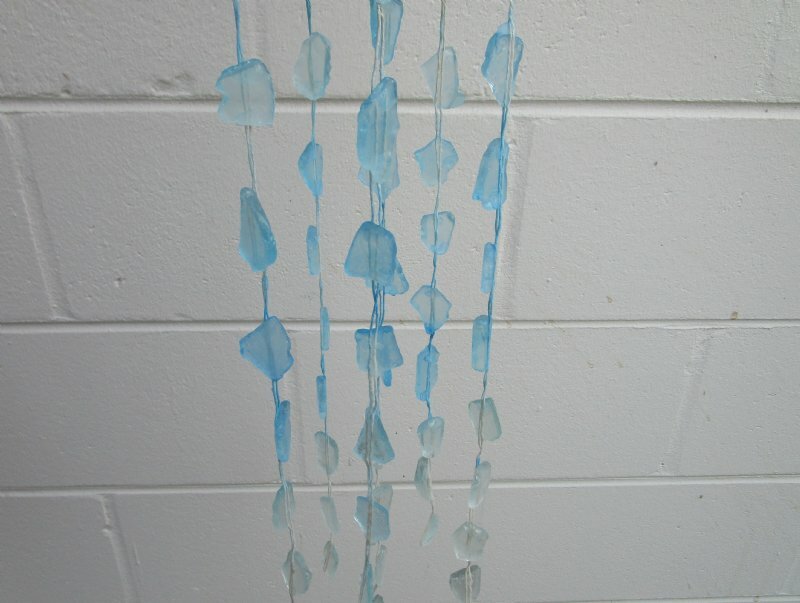 This wind chime could be displayed on a wall or indoor to simply create a tropical and coastal look to your home decor.